Leadership starts with the ability to look at every challenge—even the mundane tasks—as an opportunity to make a positive impact. Drawing from his unique approach to community building through filmmaking, Brett shares practical insights that will equip attendees to embrace their strengths, contribute to a larger mission, and uncover a more expansive view of what everyone can accomplish together. 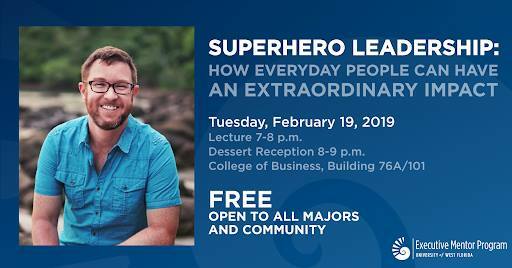 He shares powerful stories from his filmmaking adventures of ordinary people who have accomplished extraordinary things. This presentation encourages and inspires audiences to take ownership and feel confident about their ability to make a difference. By learning to see themselves as leaders contributing to a noble, shared vision, attendees will feel empowered to bring greater confidence and enthusiasm to their everyday tasks. This shift in perspective ignites the heroic spirit in audiences, equipping them to bring the truest, most powerful view of themselves to every aspect of their work and life. This event is free and open to the public. Please RSVP here so there are enough seats and dessert for everyone.